Kick off running season on April 3rd in Chicago at the Bank of America Shamrock Shuffle 8k! Located less than 6 miles from the race’s starting and finishing point in Grant Park, Broughton’s Majestic Hotel is the perfect place to stay for a weekend getaway in the Windy City. There will be two on-course aid stations along the course, offering runners Gatorade, water, medical support, and toilet facilities. Aid station 1 is located at mile 1.8 on State and Randolph Street, and Aid Station 2 is located at mile 3.5 on Franklin and Monroe Street. There will also be clocks and mile markers located at every mile, and timing mats at the start line, 5k line, and finish line. Information on street closures for the day of the race will be available in advance of the race weekend. Due to these street closings, public transportation is strongly recommended. More information on transportation and parking can be found here. 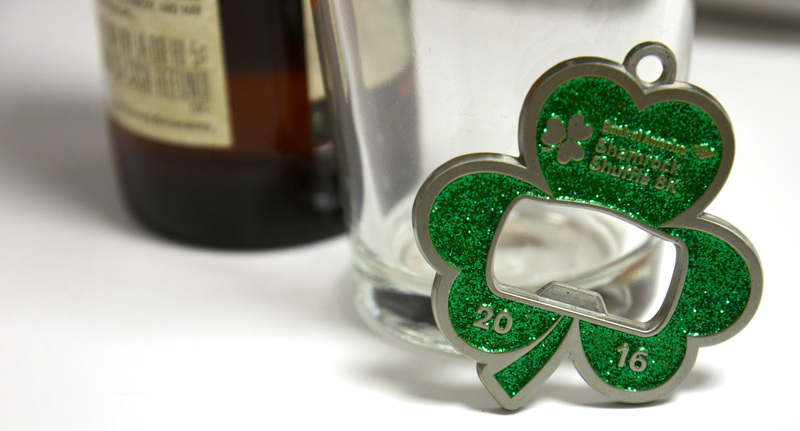 Celebrate your finish at the Bank of America Shamrock Shuffle 8k Post-Race Party immediately following the race. The party features live music from Stache, Chicago’s premier cover band. The Bank of America Shamrock Shuffle 8k After Party will take place at the Scout Waterhouse & Kitchen on Sunday, April 3 from 2pm-1am. Runners must be 21 and over with a valid I.D. to consume alcoholic beverages at either party. Registration fees for the race are $50/runner and participants can register online now through the Bank of America website. The registration fee includes the everything in the participation packet, a pair of festive sunglasses, and official finisher’s medal, a drink ticket for one Michelob Ultra at the Post-Race Party and one drink ticket for a Michelob Ultra at the Scout Waterhouse & Kitchen after party. Entry requirements state that runners must be capable of maintaining a 15:00/mile pace and complete the full 8k distance within the time requirement of 1:15:59. Runners must also be at least 8 year old on race day, and any runners under 18 must have a statement signed by a parent or legal guardian permitting participation. The race will be streaming live from 8-11am on NBCChicago.com on the day of the race. You can also download the NBCChicago Mobile App to watch your favorite runners cross the finish line. This hotel has lots of charm with its comfortable, delightful atmosphere of an upscale English manor amidst the energetic city life of the bustling Lakeview neighborhood. 528 West Brompton, Chicago, IL, 60657. 773.404.3499.